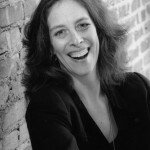 Michelle Fine is Distinguished Professor of Social Psychology, Women’s Studies and Urban Education at the Graduate Center, City University of New York (CUNY). A highly influential educator and activist, her work addresses questions of social injustice that sit at the intersection of public policy and social research, particularly with respect to youth in schools and criminal justice. Michelle has authored, co-authored, or edited more than 20 books, 70 chapters in key national and international volumes, and 80 journal articles. Her most recent book, with Michael Fabricant, is “The Changing Politics of Education: Privatization and the Dispossessed Lives of Those Left Behind.” A recognized pioneer in participatory action research, Michelle’s scholarship and activism address critical issues of what she calls “circuits of dispossession and resistance,” documenting how youth contend with, are affected by, and resist inequities and the rising “punishment paradigm” in prisons, schools, communities, and social movements. Her activism includes serving often as expert witness in gender, race, and education discrimination cases, including test-based graduation requirements in urban districts. Most recently, Michelle has been intensely involved with MCAS – Montclair (NJ) Cares About Schools – an activist group of parents working with educators, labor and civil rights groups, in a struggle over corporate reform and testing in a racially integrated suburban school district.